The market representation is one of the important factors of success for every brand. While rebranding is indeed yet another colossal structure that immensely important for success. Well, the automobile industry even has to depend a lot on the branding and rebranding concepts. And there are numerous prominent examples set by the automakers. Among those is the Hyundai that is successful with its Grandeur which it has been producing since 1986. Well, the Grandeur has a pretty amazing history. First, it was just a rebadged variant of a Mitsubishi luxury car. And it was launched in the anticipation to defeat Daewoo. But besides the Daewoo, it met a lot of competition which was way higher than the expectations of Hyundai. While much of the market share was taken away by Toyota, Nissan, and Honda at that time. Well, the second generation was no different. But it went successfully in Korea, becoming a legacy version of the Hyundai luxury products. While the third generation was completely developed and produced by Hyundai itself. And it even found its way into the North American market but under a different title. There it was marketed as the Hyundai XG. Further, the fourth generation carried the Azera for some markets including North America. While it was slightly different than its predeceasing generation. 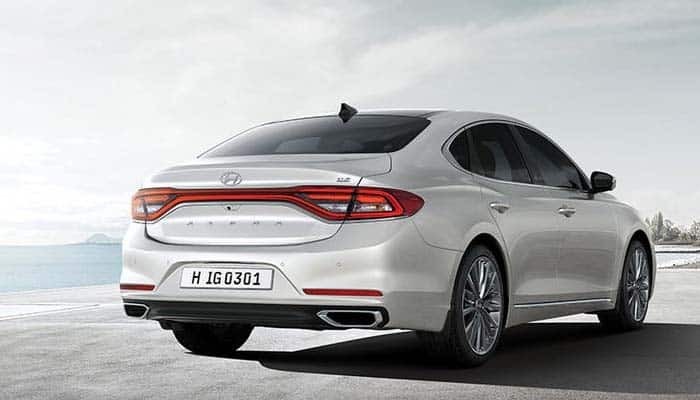 The fifth and the ongoing sixth generation gained enough strength that they started competing for the mid-sized luxury sedans from Ford and Chevrolet. Ahead of that, the Grandeur is available in 4 models. While the cheapest among those are priced as low as $29,480. And the finest ones could be availed for $35,000. The new generation brought in some newer details to the car. But most of it is still old. Well, there are five power variants available and each of them shares some detail with the outgoing generation. The base model available for the Grandeur comes with the 2.4 L 4-cylinder naturally aspirated engine. Well, this engine is in use since 2006. While the Grandeur is not the first one to utilize this machine. It is the Theta II engine, capable of producing 187 hp of power at 178 lb-ft of torque. While for the Grandeur it comes mated with the 6-speed automatic transmission. The powerhouse begins with the 3.0 L V6 Lambda II MPI turbocharged engine. Well, this is even an old fella that has been seen in various other cars from Hyundai and Kia. And for the Grandeur this machine brings in 247 hp of power at 210 lb-ft of torque. While it even comes mated with the 6-speed automatic transmission. The powerhouse continues to expand to 262 hp of power with the GDI V6 engine of the same caliber. While the gearing gets improved to an 8-speed automatic transmission. Well, this is still not the finest one available in the series. 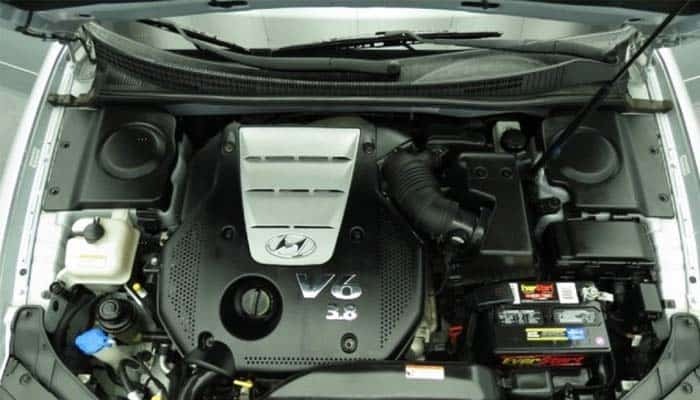 The 3.5 L turbocharged V6 engine offers 286 hp of power with 250 lb-ft of torque. 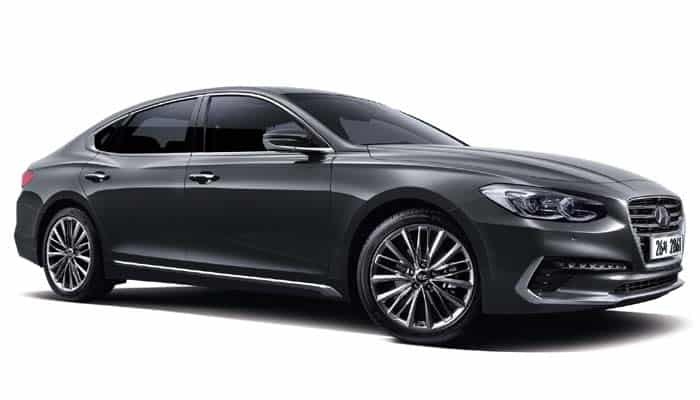 And this is the most powerful version of the Hyundai Grandeur. Though not so sporty, still it is capable to do a lot of stuff. The only diesel variant comes equipped with the 2.2 L E-VGT 4-cylinder turbo engine. The power is rated amid 202 hp with 327 lb-ft of torque. And it comes mated with the 8-speed automatic transmission. The sixth generation has been stylized to meet the competition with grace and strength. But it is not much different than the other premium cars from Hyundai and Kia. Well, the cosmetics include the Hyundai’s favorite tiger nose grille, projector headlamps, shark fin antenna, LED fog lights and LED taillights. Further, the design includes the 19-inch allow wheels. While the 20-inch wheels are optionally available. 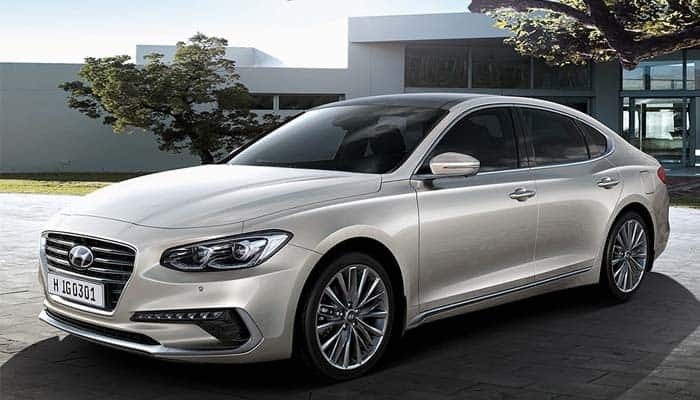 Overall the design is fine and it has plenty of grace to be rolled amid the executive level sedans. But it is not much exhilarating like a number of other options in the market. The interior designing is graceful but it is a pretty much-dated concept. 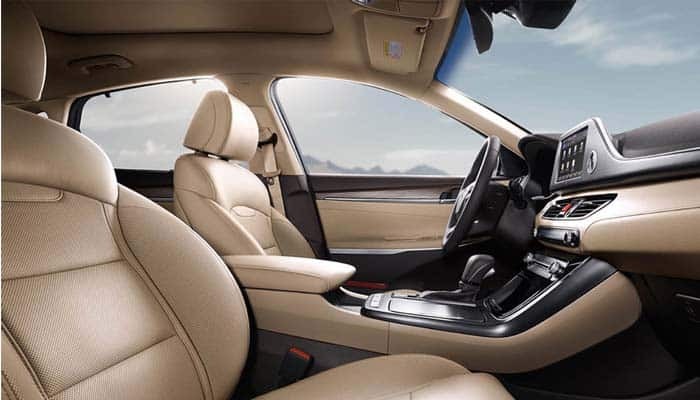 The leather seats with the leather trim are common among all the models. While the spacing is available for 5 including the driver. Further, there is even sufficient space for the cargo in this car. But when it comes to the tech-savvy designing, the Grandeur misses that all. Certainly, Hyundai should switch to the recent trends of the cockpit and interior designing. As without such details, it is hard to attract the new generation of drivers. The Grandeur comes with the 8-inch touchscreen infotainment system. Well, it is a pretty old fashioned system with nothing much really impressive or supportive for the driving enhancement. 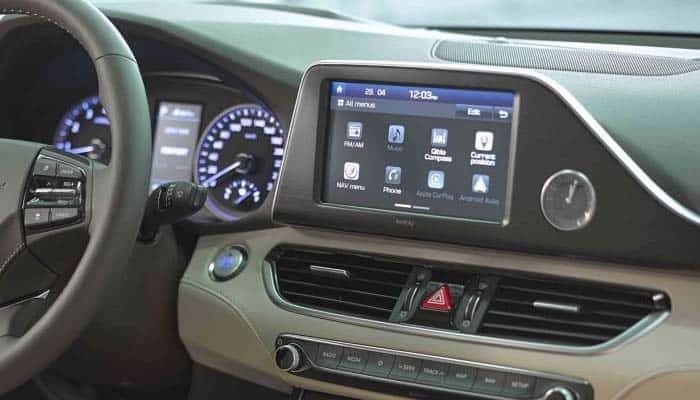 Further, the available features include voice recognition, smartphone connectivity, Apple CarPlay and a vehicle management suite. Ahead of that, the Grandeur features the JBL premium audio system with the available navigation panel. Besides the airbags and the seatbelts, the Grandeur features plenty of other active safety specs. Well, these include the heads-up display, blind spot monitoring system, lane keeping assist, adaptive cruise control and the forward mitigation system. Along with that, the Grandeur gets a reinforced structure which reduces the impact of the collision. Commonly Hyundai Grandeur confronts the Toyota Camry. 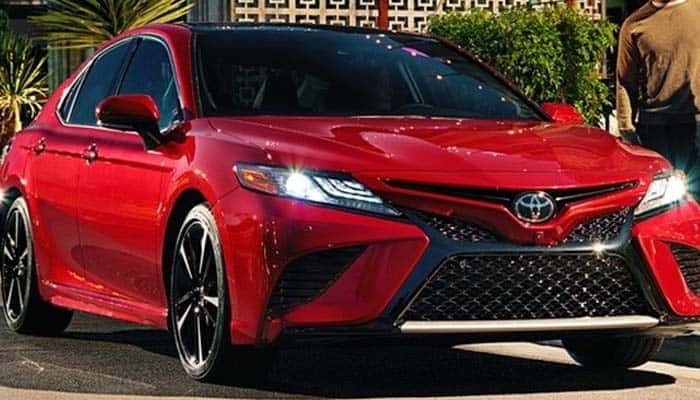 The Camry’s advanced styling and enhanced driving experience easily surpass the Grandeur. While Hyundai has not adjusted the ability of Grandeur to meet this competition. But still, the Grandeur has a nice appearance and a neat structure. Even the interior setup is quite clean. Well, it is indeed a fine car if you are looking for a decent executive sedan.